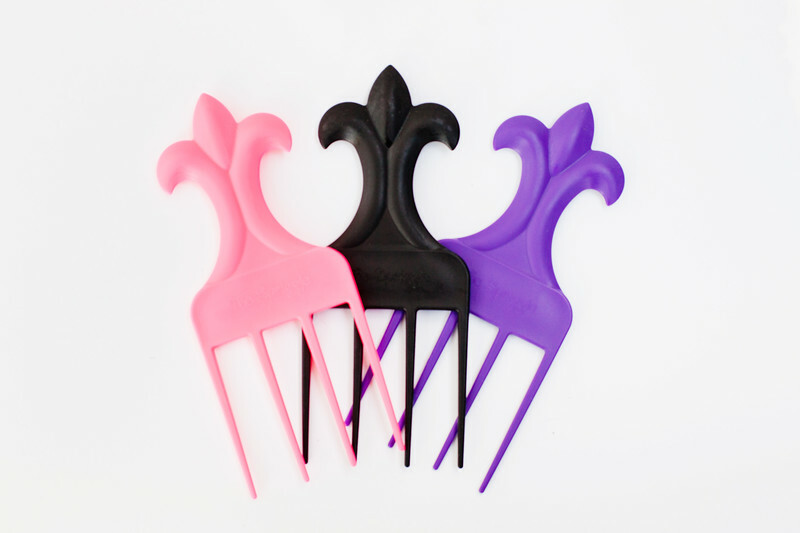 The Spriggle® is a patent pending hair pick for curly hair. The spacing between the prongs is what makes it work for curls and what also makes it special. We hope you love it as much as we do! The Spriggle® can be used in different ways. The most common and effective use for the Spriggle® is to gently pick out tangles and add volume to dry hair (yes, we said DRY HAIR!). The spaces between prongs allow curls to stay together; in other words, you can style or touch up your hair without creating frizz! Some customers like to use it in the shower to work conditioner through long or thick hair. Others use it to lift hair at the roots, maximizing volume. 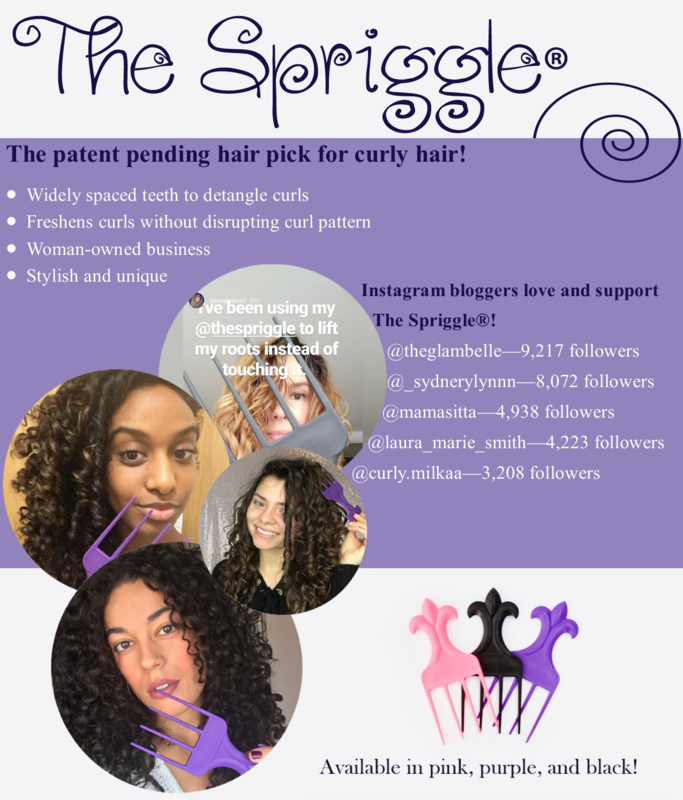 The inventor of The Spriggle®, Courtney Murphy, modified a traditional pick to accommodate her curls when she was in high school. In the subsequent years, no combs or picks ever gave her the same results as her modified pick. To help curly folk everywhere, she produced a prototype which then became The Spriggle®. She has trademarked the name and her patent application is in process. The Spriggle® is available in 3 colors: purple, pink, and black. 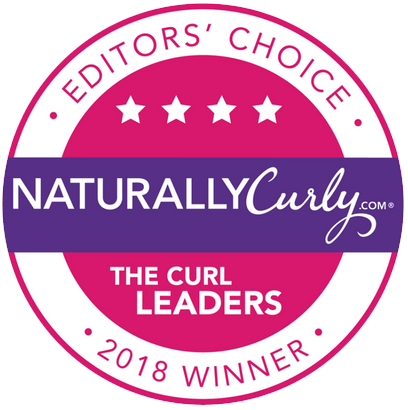 Customers LOVE The Spriggle® – our five star reviews prove it!